Pets can create such a great foundation for the growth and development of children from all walks. When pets and people team together, there is no stopping them. Not only can animals help us tremendously, but we can help them as well. Children can learn the magic of unconditional love as well as social tools while working with pets who need their help. Caring for an animal who needs a loving human or who has special needs can be beneficial on both ends. It is amazing to see how much each has to gain from one another. It is especially inspiring to see pets with special needs teaching our young generation about perseverance, acceptance, and strength. The staff at Elmhurst Animal Care Center loves to be a part of facilitating the formation of the bond between pets and children. 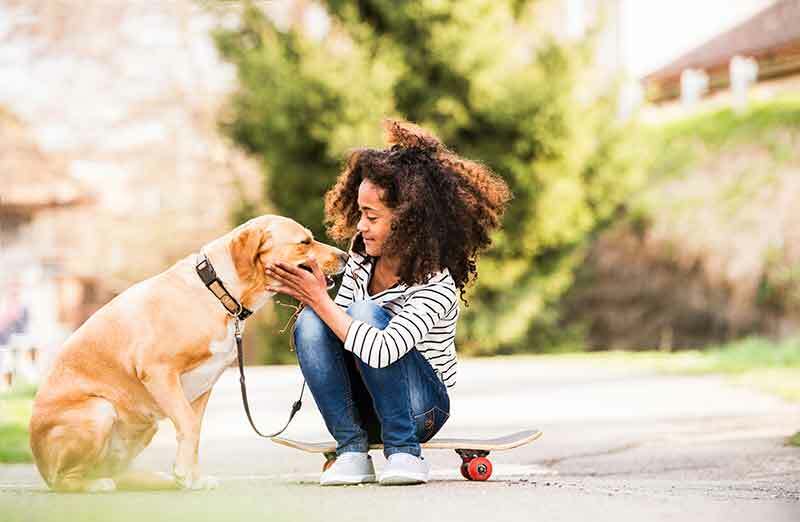 We strive to help young people and animals unite whenever possible. Please let us know if you have a classroom, a scout troop, or just a special little person in your life who would like to visit us and build the human animal bond. We enjoy these opportunities and are more than happy to help grow the next generation of animal lovers.